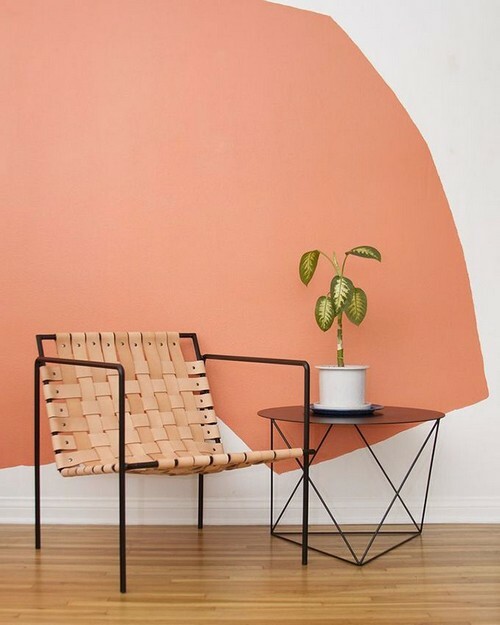 Peach Echo (Pantone 16-1548) is one of ten Pantone Colours for Spring 2016. 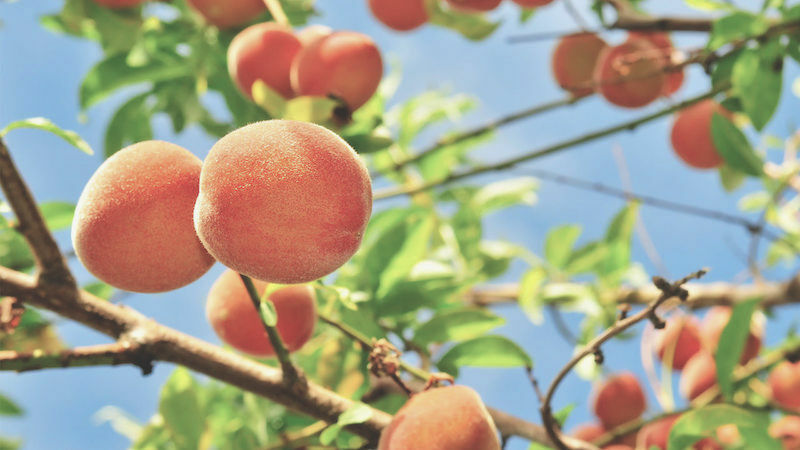 Although from the orange colour family, it has a much less bright and so called orangy feel to it. It’s friendly, warm and tempered. 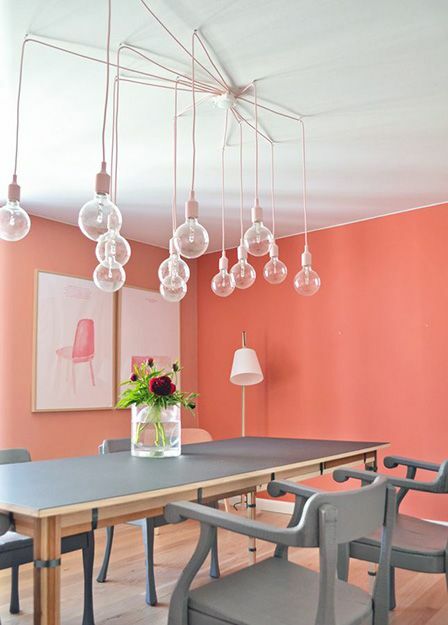 My favourite look with Peach Echo is a dark dining room that has used the colour as a nice contrast. 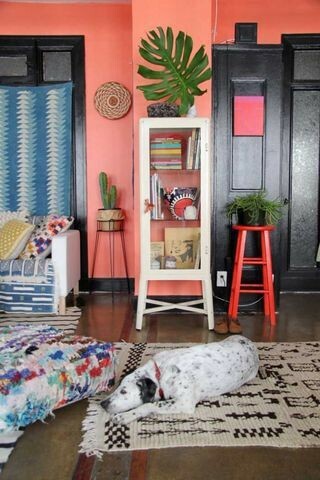 Love the bold patterns and contrast in this home office. Definitely wouldn’t mind working there! 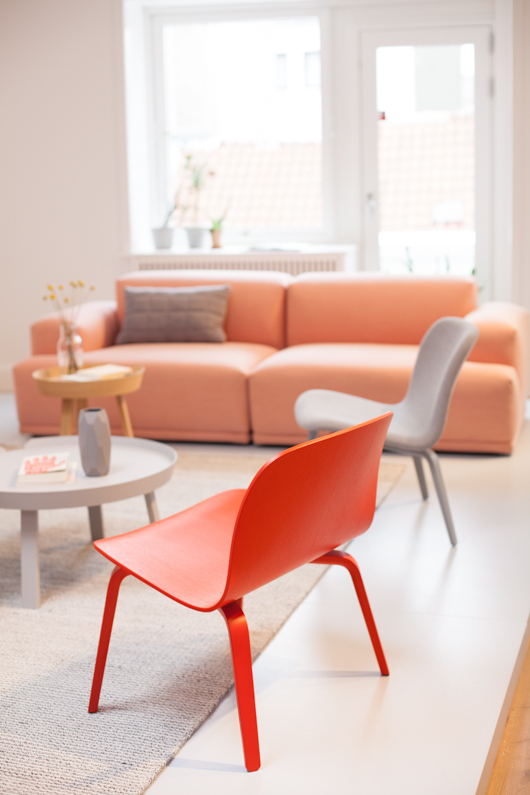 A good example of how you can use this bright colour and still maintain a calm feel to your interior. 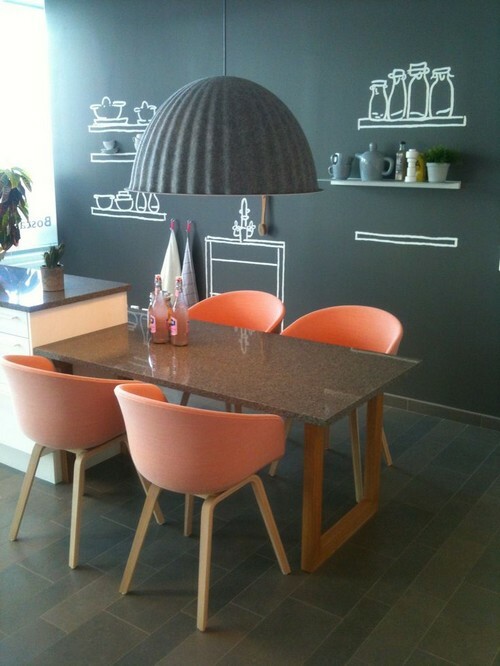 A bit of a Scandinavian feel to it. 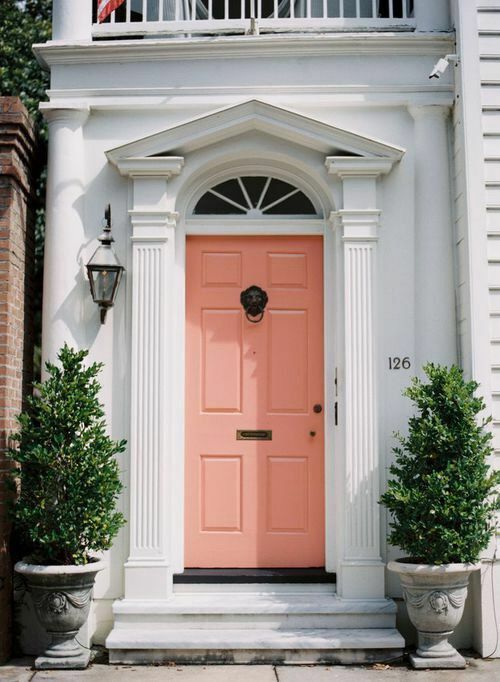 Why settle for a boring plain door if you could paint it peachy! Really love this look, playful, yet classy. This look in my opinion is a bit of an overkill. May be nice to look at for a bit, but I’m sure I’d get really overwhelmed from all that orange. Yes, yes, I understand that it’s meant as a nursery, but still, I’d tone it down. Maybe something more neutral for the curtains? I still can’t get enough of the no-lamp-shade trend. 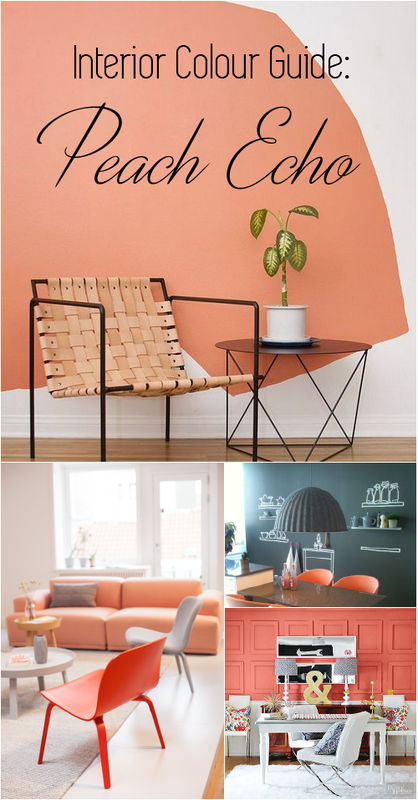 Good example of how different patterns, colours and shapes can create a complete look if you know how and what to use.